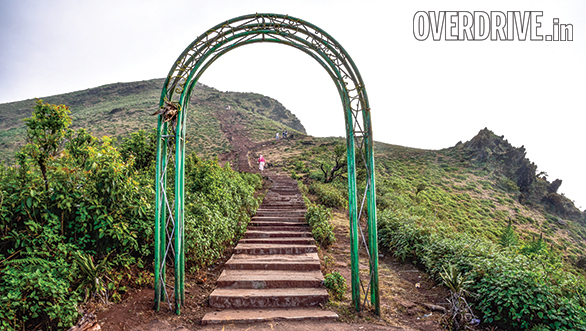 Chikmagalur is most famous for one thing  coffee. Cafe Coffee Day, one of the largest coffee chains in India, was founded in this little town situated in the Western Ghats. 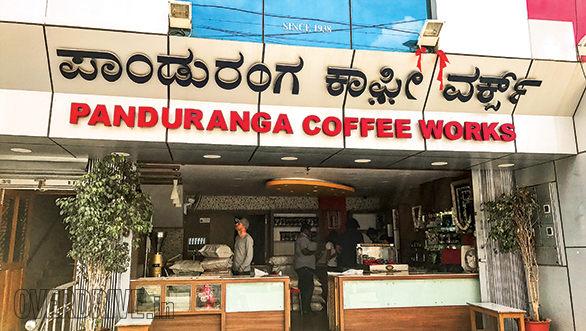 While there's no denying that you'll find some of the best coffee in India here, there had to be more to this place than just that. To find out, we set out on an 860km long journey from Mumbai. 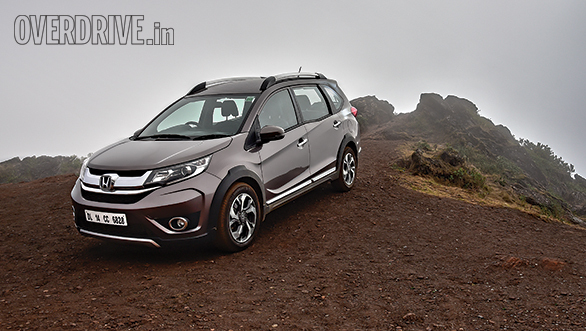 Our car of choice was the 1.5-litre diesel Honda BR-V. Why? Because it's spacious, comfortable and quite frugal too! Considering the journey would take around 14 hours without any breaks, we set out quite early at 5.00am. It was pretty dark, and normally that would be a problem to maintain a decent speed. But thanks to the projector headlights, visibility wasn't a problem at all, and before the sun was up in all its glory, we had reached Pune. The Mumbai-Pune Expressway's concrete roads were gobbled up in no time thanks to the BR-V's smooth 100PS engine. The passengers in the car were comfortably asleep because of its impressive ride quality, so we decided to cover as much distance as possible before the traffic started, and then grab quick bite to eat. After a late breakfast in Kolhapur, we were back on the road and on our way to Chikmagalur. The route we followed took us on the same highway connecting Mumbai to Bangalore up until Ranebennur near Davangere. From there, it's a just 180km drive to Chikmagalur via Shimoga, but since Google said it would take four hours to complete the stretch, we chose to have our lunch on the go. We finally made our way into Chikmagalur. The reason the final stretch took that long was because the roads, which passed through several crowded villages, were quite narrow and broken in several places. But the BR-V, with its high ground clearance, made for a very trouble-free drive. Normally, a journey this long would have left us so tired that we'd be forced to hit the bed as soon as we found one. 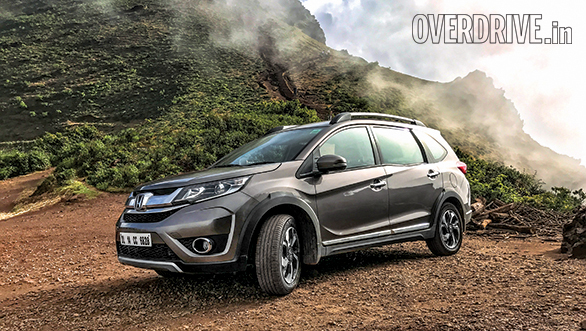 In the BR-V, however, the journey seemed rather effortless thanks to the comfortable ride quality and the responsive engine. 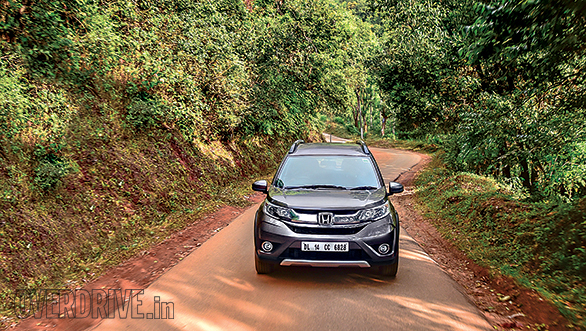 Even the climb up the ghats leading to Chikmagalur was very quick and the Honda BR-V, despite being quite long, was very easy to manoeuvre with its sharp steering and agility. With some energy left to spare, we decided to find out what we could do the next morning that most people travelling to the region didn't know about. A Chikmagalur local suggested that we head up to Mullayanagiri, the highest peak in Karnataka, for an early morning trek. With a plan in hand, we headed for some delicious South Indian biriyani and chicken kebabs. The biriyani here, unlike in North India, is made using a smaller variety of rice called seeraga samba, and is full of delicious ghee. And the kebabs, which are fried and not cooked in a tandoor, complement it best. Then, of course, to wash it all down, there's the Arabian pulpy grape juice which was initially popularised in Bangalore. It has bits of purple grapes in the juice and, as strange as it sounds, has the fulfilling feeling of eating fruit and thirst-quenching properties of juice, all at the same time. After a good night's rest, we woke up very early and drove up towards the peak. It's a 22km drive up a relatively steep road that takes around an hour to complete. As we made our way up, the other mountains started to grow smaller until they finally opened up to a wonderful view of Chikmagalur and everything beyond it! The road takes you most of the way, but the final bit up to the peak is a climb up a neatly paved stairway. When we reached, there wasn't much of a view initially because of all the mist, but it soon cleared up and the morning light made for a gorgeous view of the Western Ghats. The weather was just perfect too at around 14°C, and that made the climb to the top very enjoyable. After taking in the sights, we made our way back down to Chikmagalur just in time for breakfast. And what better breakfast in South India than idlis, vadas and a nice hot cup of filter coffee! The strong coffee took care of the drowsiness of having to wake up early and set us up for the drive down to Bangalore. 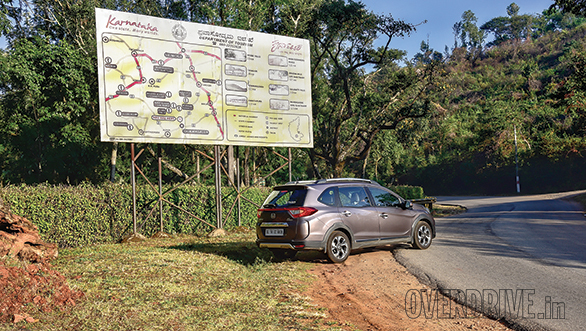 It was a four-hour drive down well-paved roads before we reached the capital city of Karnataka. We then stocked up on as much South Indian food as possible before making our way back to Mumbai the next day. Despite it being further from Mumbai than Chikmagalur, the drive from Bangalore takes roughly the same amount of time thanks to the wide well-paved highway. 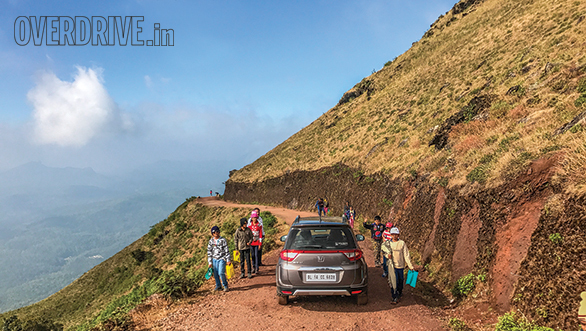 Our long road trip took us through some of the best, and sometimes worst, roads in India, and the BR-V proved to be the ideal car for such a journey thanks to its efficiency, space and comfort. The trip showed us a variety of landscapes, food and cultures that opened our eyes to the diversity of our country. Chikmagalur, although not as popular as its neighbouring district Kodagu (Coorg), is just as beautiful and the people are just as inviting.